This recipe comes from the clever folks at Baked, an innovative bakery located in Red Hook, Brooklyn. I picked up their cookbook, Baked: New Frontiers in Baking, last week and was immediately smitten with the Root Beer Bundt Cake. “We weren’t looking for a hint of root beer,” wrote chefs Matt Lewis and Renato Poliafito, “We needed an avalanche of root beer.” The Astronomer baked the cake this weekend to celebrate a certain Gastronomer’s 27th. While the cake didn’t quite deliver the landslide of sassafras we were hoping for, it was a solid chocolate cake with an intriguing essence of root beer. 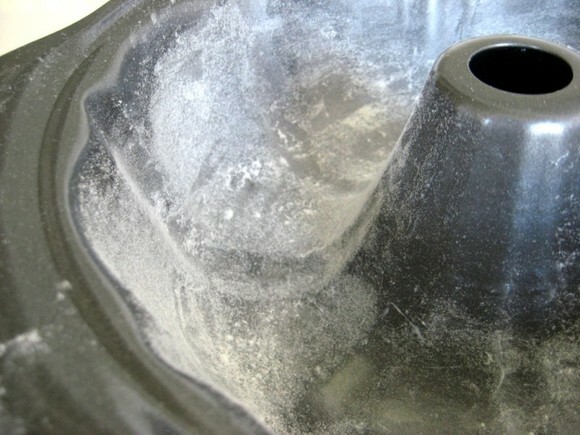 Generously grease or spray (with a non stick spray like Pam) and flour your bundt pan to ensure that your bundt cake will slip out easily. Knock out the excess flour. 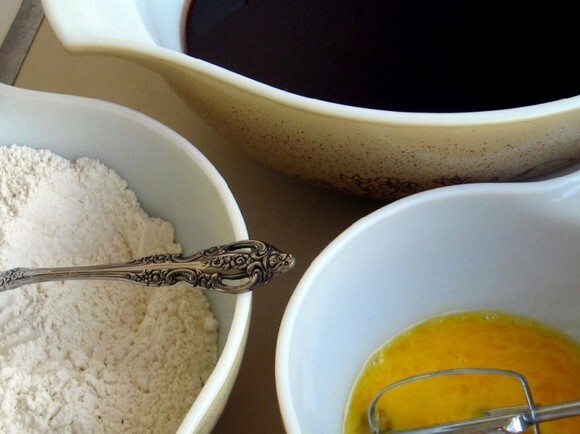 Pour mixture into bundt pan and bake for 35-40 minutes. Rotate pan half-way through. 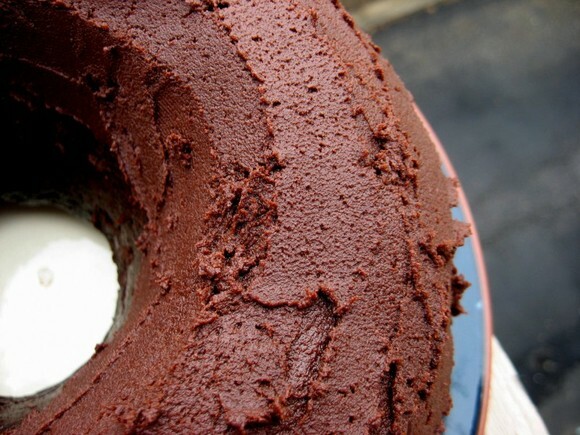 A small sharp knife inserted into the bundt should come out clean. Cool the cake in the pan completely. 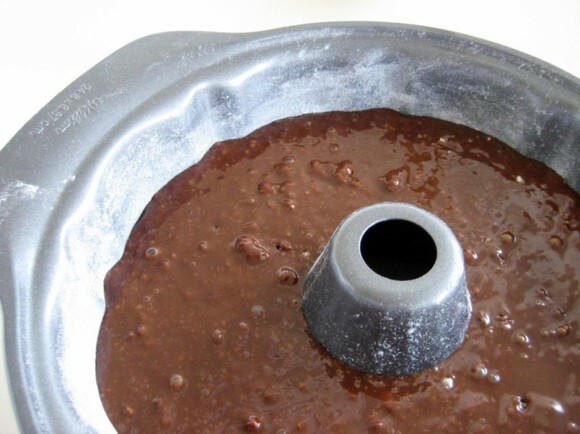 Once cooled, gently loosen the sides of the cake from the pan and turn out onto a cooling rack. Make sure the cake is cooled completely before adding frosting. Make this cake the night before serving to let the root beer flavor intensify. 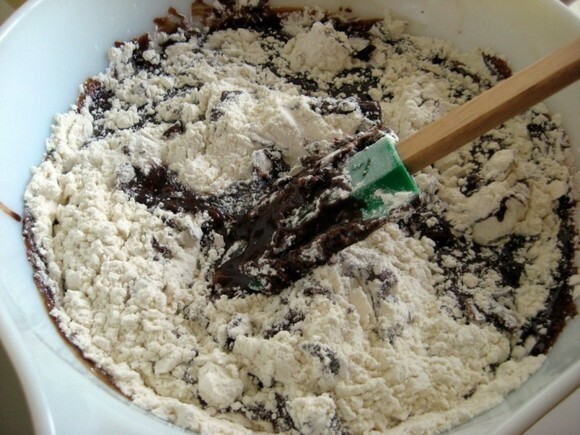 Place all ingredients, chocolate, butter, salt, root beer, butter, and confectioners sugar, in a food processor. Pulse in short burst until fudge frosting is shiny and smooth. 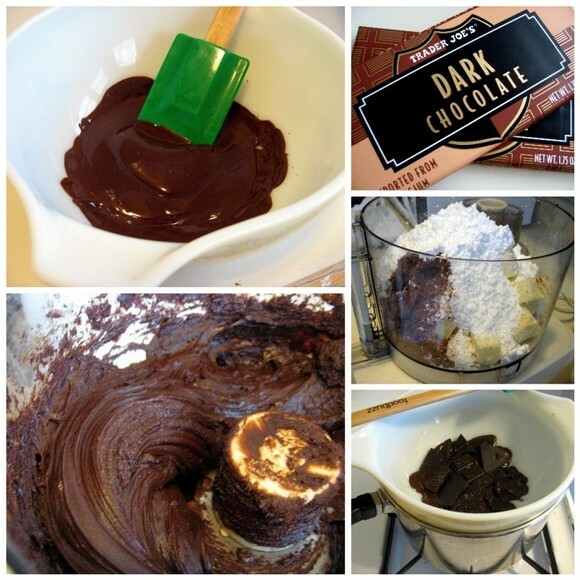 Use a spatula to spread the fudge frosting over the crown of the bundt in a thick layer. Let frosting set before serving. Serve with a big scoop of your favorite vanilla ice cream. I came across a root beer pudding once in a restaurant, and was intrigued, so tried it. It was an avalanche of root beer…and very weird. Perhaps it was better that you didn’t get an avalanche. Still intriguing, though. Happy belated B-day. Hope it was a good one! I have had my eye on that rootbeer cake for some time now – I’m obsessed with the Baked cookbook! Thanks for reminding me, and for the good instructional pics! 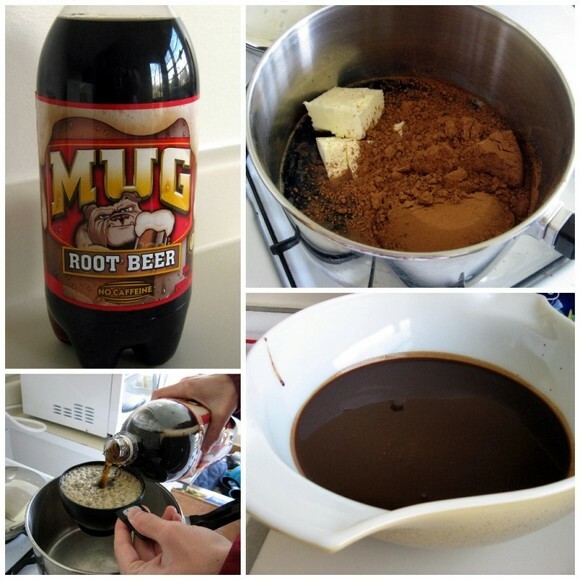 The rootbeer flavor might be intensified if you add a couple of teaspoons of rootbeer extract, which you can get at home brewing stores. 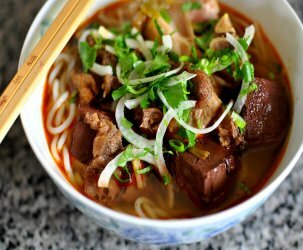 This sounds and looks so delicious! If I had some root beer in my fridge I’d make it right now. Thanks for sharing this recipe. Wow, this looks heavenly. 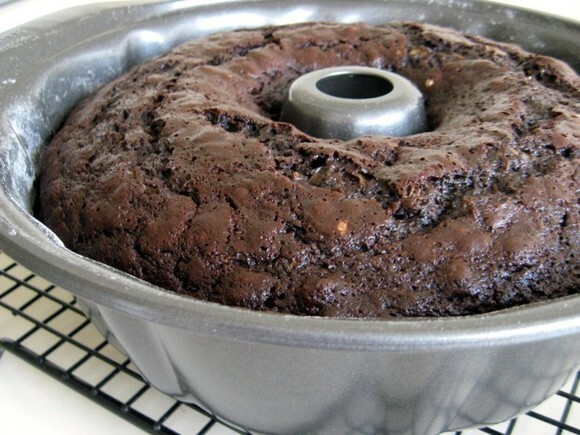 I was looking for a less boozy recipe than the cognac soaked chocolate bundt cake I made a few weeks ago. A cake with less alcohol . This sounds perfect. 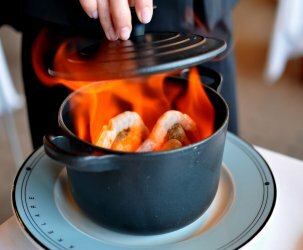 I came across this recipe a while back but never had a chance to take down the recipe. This looks great and thanks for sharing. Aaah, I was hoping you’d say it was a Root Beer lovers dream. But it sure looks good… Happy Birthday! Could i sub the Root Beer for Dr.Pepper? Lyla – I don’t see why not 😉 ! If there’s a Dr. Pepper Schnapps product out there, I’d suggest you use it as well. Rootbeer cake?!?! I have to try this!!! I rarely comment on blogs but yours I had to stop and say Great Blog!! Try Barq’s for a stronger root beer flavor? Or maybe birch beer? Mug is very muted. 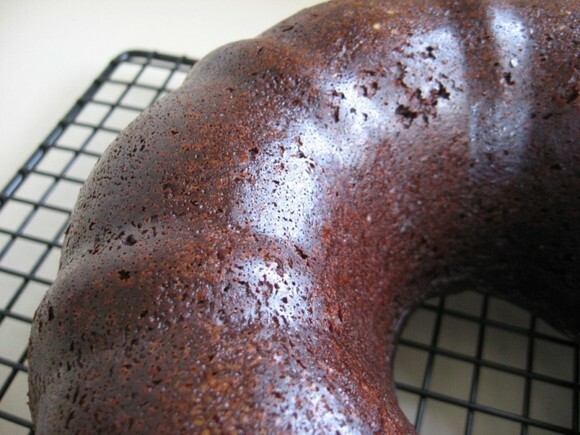 I have a few bundt cake recipes where you douse the finished cake with hot syrup and let it soak in before turning it out of the pan and this makes the cake super moist for days. Maybe a reduced root beer syrup would kick up the flavor in this recipe a little? Hey there! I just bought this cookbook – can’t wait to try this. I also just ran across A&W Syrup – like for putting on ice cream – at a specialty food store. Mmmmmm. I’ve made this cake and I LOVED it. This cake is awesome, rich and delicious. I made this cake and found it overwhelmingly chocolate-y. Not a bad thing for some, but too much for my tastes. Also, the frosting was like fudge. I’m curious, gastronomy, how did you get the frosting on the cake? I used a combination of spatula, hot knife, fingers, and a hair dryer. 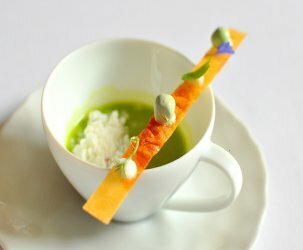 No way can you fit all those those ingredients into a small saucepan and have room to even stir much less whisk. I had to transfer the hot mixture and got a sticky mess all over the stovetop. Once made I did like the flavor – sprinkled it with powdered sugar and served with whipped cream. I’m a little late to the party, but why not make a simple white frosting instead of chocolate? Then flavor it with some root beer extract to have root beer frosting for your root beer cake? 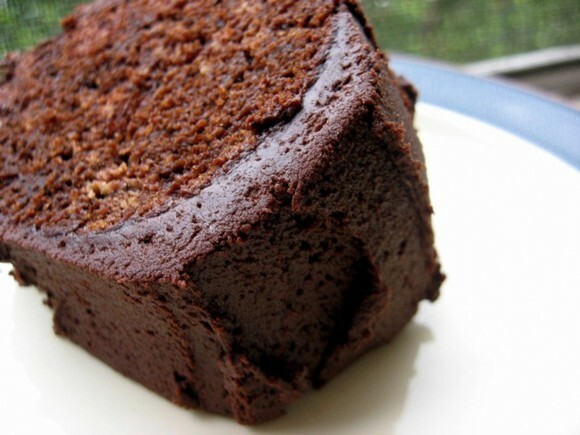 I have made this cake several times, to much lauded review! If you make it a day in advance, the rootbeer flavour settles in and becomes more pronounced. I LOVE IT!!! Not to be a Miss Smartypants, but root beer extract is also found in most standard grocery stores. Maybe brewing stores will have it cheaper, but I doubt it. (also online “stores”, not mentioning any names). McCormick is the predominant brand found in stores. I’m definitely trying this with at least a half cup of schnapps, maybe more. Got to get rid of a half bottle, since it’s too strong for a wimp like me to drink outright. Also root beer schnapps works decently in homemade baked beans. *Another way to get rid of a bottle.